Goshen and Monroe drivers who compare the 2016 Honda CR-V to the 2016 Mazda CX-5 will quickly see a pattern emerging. Simply put, the CR-V offers more, whether that means providing a powerful engine as standard or including a rearview camera with all trim levels. 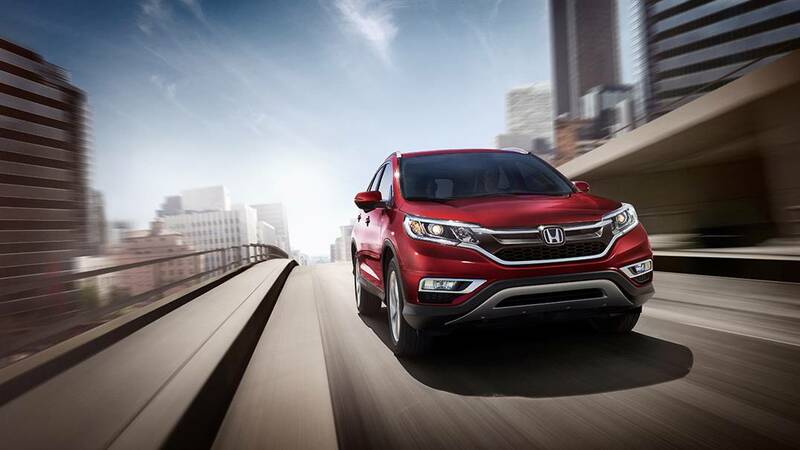 The 2016 Honda CR-V comes in five exciting trim levels, so it’s always easy to find one to perfectly fit your needs. LX: Enjoy a multi-angle rearview camera with guidelines, Bluetooth HandsFreeLink system with streaming audio, an SMS texting function, and Pandora compatibility. SE: The all-new SE offers 17-inch alloy wheels and rear privacy glass, plus the peace of mind that comes with a top-of-the-line security system. EX: The EX adds a comprehensive range of premium features, including a 7-inch touchscreen, a 10-way power driver’s seat, and Smart Entry system with push button start function. EX-L: The EX-L makes comfort a top priority, providing dual-zone automatic climate control, leather-trimmed seats, and a leather-wrapped steering wheel. Touring: The Touring trim is top of the line. 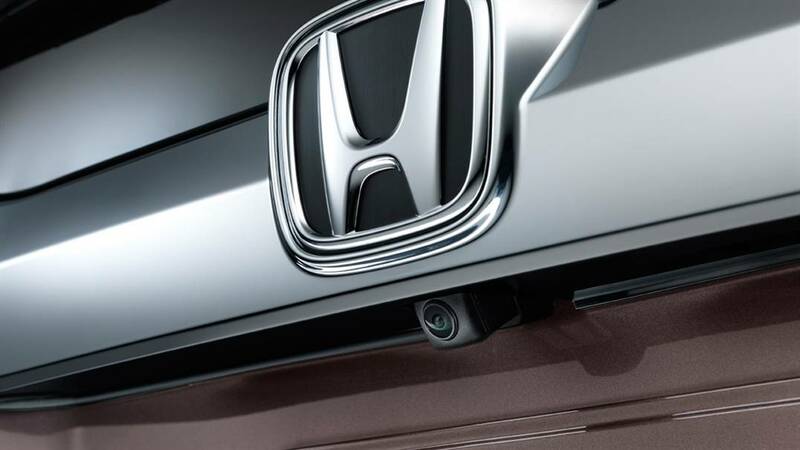 It includes as standard a Honda satellite navigation system, power liftgate, and the driver assistance technologies of the Honda Sensing safety package. 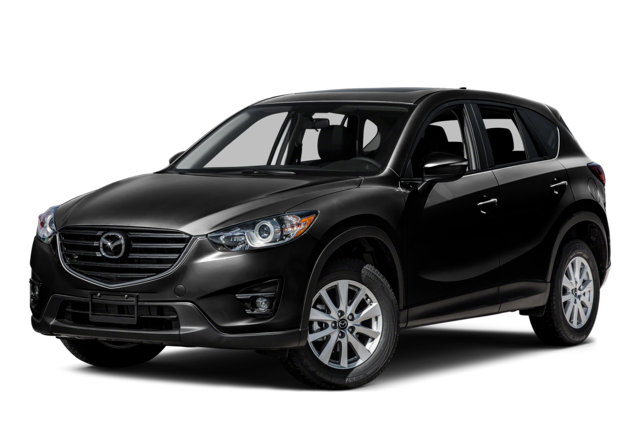 The 2016 Mazda CX-5 is less versatile, offering only three trim levels to choose from. The entry-level Sport fails to impress by providing only basic features, such as a 60/40-split folding rear seat, four-speaker sound system, and cruise control. The mid-level Touring comes with a keyless ignition and entry system and six-speaker sound system, while the Grand Touring delivers 19-inch wheels, automatic headlights, and dual-zone climate control. 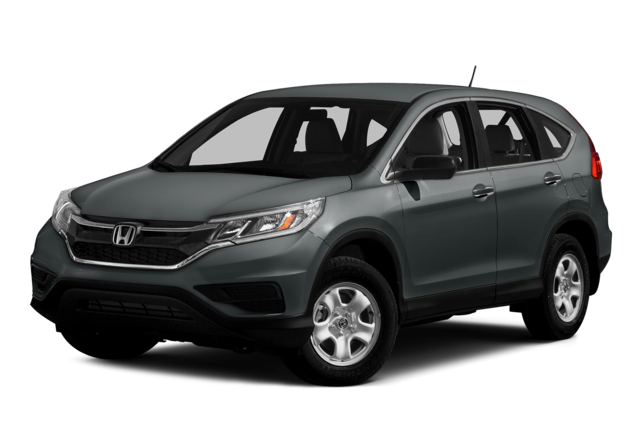 The 2016 Honda CR-V won’t make you pay more for the type of performance that you deserve. 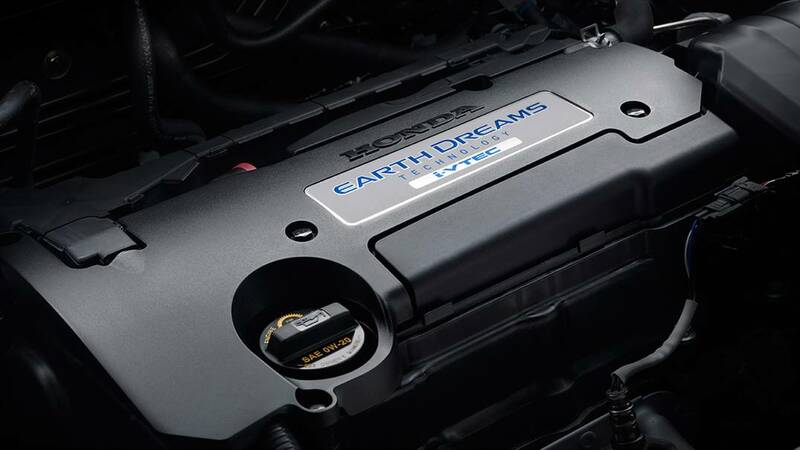 Each model is equipped with a cutting-edge 2.4L four-cylinder engine capable of delivering up to 185 hp, with a continuously variable transmission (CVT) coming as standard for seamless shifting, effortless performance, and up to 26 mpg in the city and 33 mpg on the highway with FWD.The 2016 Mazda CX-5 offers a paltry 155 hp from its standard 2.0L four-cylinder engine, which is offered with an outdated six-speed manual transmission. You’ll find that acceleration is lacking unless you upgrade to the CX-5’s available 2.5L four-cylinder, which, at 184 hp, is still a little less potent than what you’ll receive as standard with the CX-5, despite the fact that you’ll still make 26 mpg in the city and 33 mpg on the highway. 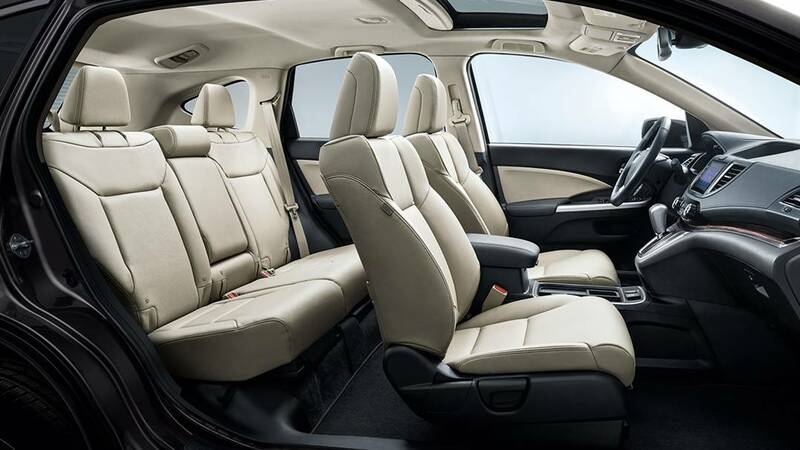 Standard Cargo Space: Even with all seats occupied, there’s still 37.2 cubic feet in the CR-V vs. just 34.1 in the CX-5. Extended Cargo Space: Fold the rear seats to expand your cargo area to a sprawling 70.9 cubic feet in the CR-V vs. just 64.8 in the CX-5. At first glance, it would seem as if the 2016 Honda CR-V and the 2016 Mazda CX-5 stand neck and neck when it comes to onboard technology, but that’s really not the case at all; though similarly equipped, the CR-V offers far more as standard.For example, each CR-V comes with a multi-angle rearview camera with guidelines, but the CX-5 doesn’t make its more basic model standard until the Touring trim. In fact, it isn’t even available with an entry-level model. Similarly, the CX-5 won’t ever provide navigation as standard, but you’ll receive it at no added cost with an upper-level CR-V. The 2016 Honda CR-V has received slightly better crash test scores than the 2016 Mazda CX-5, having achieved a top rating of 5 stars vs the CX-5’s 4 in the NHTSA’s frontal crash test simulation. That makes it a smarter choice as a family vehicle, but you’ll also be glad to know that Honda have been more generous with their allocation of safety features.Both models include a range of advanced driver assistance technologies, including Lane Departure Warning System, Adaptive Cruise Control, Forward Collision Warning, and a Collision Mitigation Braking System. However, while the CR-V provides this feature as standard with the Touring, the CX-5 makes you pay more even when you’ve already shelled out for a top-of-the-range Grand Touring model. For the power, features, and space that you deserve, the CR-V is a clear winner over the CX-5. 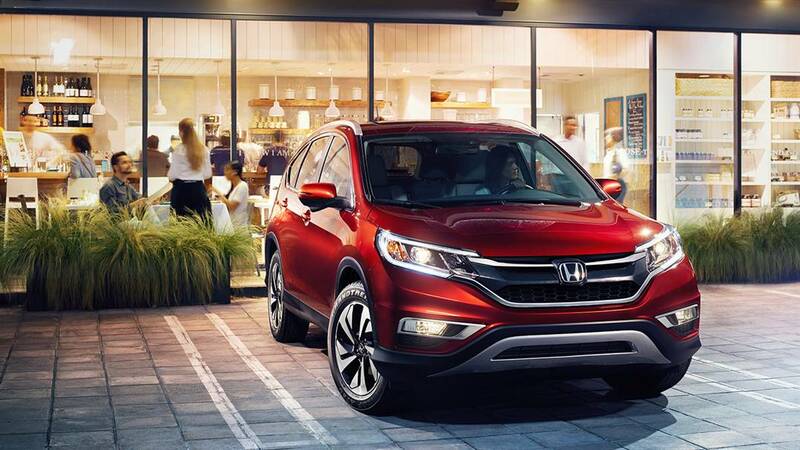 To find out more, or arrange a CR-V test drive, just contact one of the team over at Middletown Honda today.